The Classic Explorer is specially designed for first time travellers to Japan, or for those who want to further enhance their experience of the main tourist destinations in Japan. 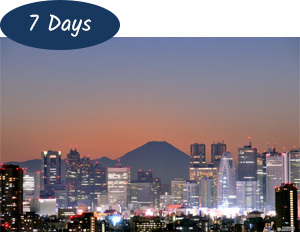 We’ve ensured that these packages are designed to take full advantage of the 7, 14 or 21-day Japan Rail Pass, helping you to travel as efficiently and as conveniently as possible. From recent history to history over a thousand years old, Japan is not only an amazing place to see, it is also an emotional way to learn about Japan and its people. Tokyo, with a population of over 13 million, is an overwhelming mega modern capital city. 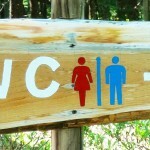 Compare this with the rich culture and history of the ancient former capitals of Kyoto and Nara. These cities are representative of Japan in many different yet similar ways and should not be missed on your first visit to Japan. Local, English-speaking tour guides will take you on a morning tour of Tokyo and Kyoto, allowing you to see more and do more from the moment you arrive. 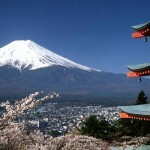 You may like to day trip to Mt Fuji and Hakone from Tokyo, or to Hiroshima from Kyoto. 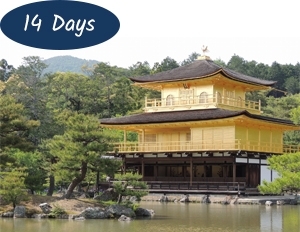 This package includes many of the must-see spectacles of Japan and is ideal for first time visitors. The hustle and bustle of modern Tokyo, the rich culture and history of Kyoto and Hiroshima, the tradition and nature in Takayama, and the icon of Japan, Mt Fuji, all rolled into one! History, food, culture, ultra-modern, nature, tradition. Every moment has a new surprise waiting for you and leads you to a succession of discoveries in Japan. If you have a bit more time to spend exploring Japan, this package includes all the features of the Jewels of Japan tour plus more. 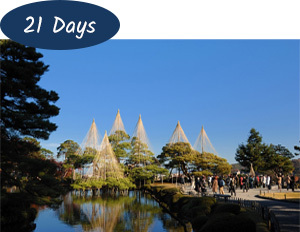 Travel to the seaside castle town of Kanazawa to see a culture seeped in Samurai history, the sacred Mt. Koya is a must-do day trip, experience the food and culture city of Osaka, and stroll around the beautiful garden town of Okayama. From the sprawling ultra-modern city of Tokyo, Hakone is an easy day trip. Hakone is a famous and popular onsen (hot spring) resort, providing a magnificent view of Mt Fuji and a real volcanic experience. An assortment of activities await you such as the spectacular views from the ropeway, mountain trains, lake cruise and art museums. 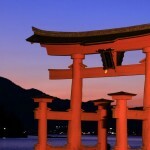 If Hakone is the ultimate Japanese resort, Kyoto is the ultimate historical and cultural centre. Learn about the Japanese empirical past and see the shrines and temples that shaped this ancient capital of Japan. This package allows you to see the best of Tokyo and Kyoto as well as other important cultural and historical areas in Japan. After getting acquainted with the Japanese way in Tokyo, venture to the lovely historical town of Takayama. The town itself is full of Edo period buildings including homes, shops and government offices. 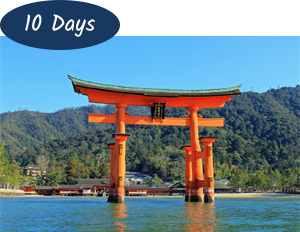 Ponder as you walk through the quiet but emotional city of Hiroshima and marvel at the spectacular World Heritage site, Itsukushima Shrine, on Miyajima Island.